These soft peach colored roses were found glowing in the Umbrian Sun. 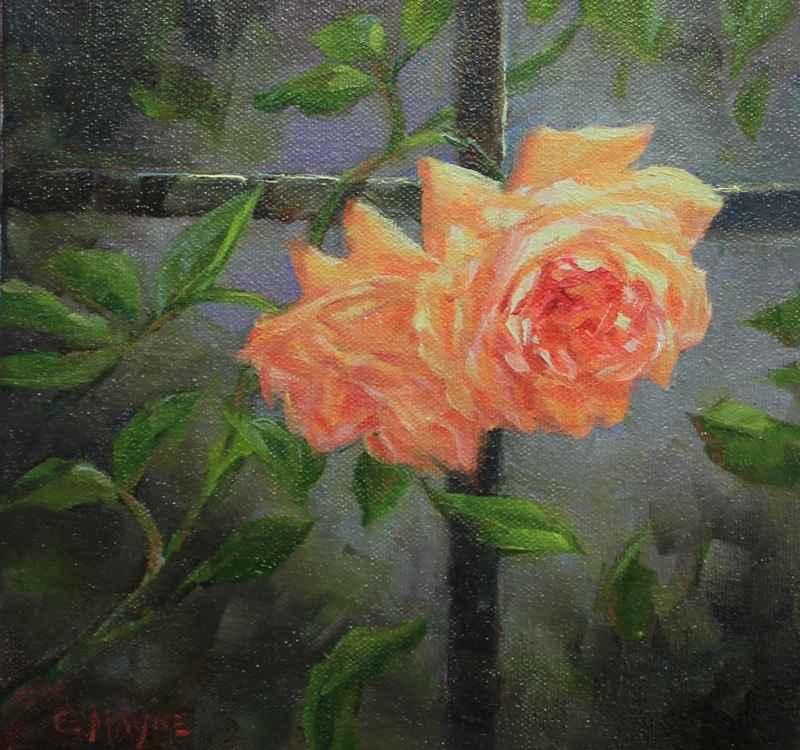 The stones that make up Assisi are a duller version of this roses' color. The memory of a beautiful morning walk is hidden in the scent receptors of my brain and the thought or sight of a rose can cause a joyous rush through those pathways!